Sheon Montgomery joined the Vietnam Center and Archive in 2009. In 2012 she was made Reference Archivist, which includes assisting patrons with research as well as outreach and education for K-12 thru undergraduate, both locally and via online interface. She holds a Master of Science in Information degree with a specialization in Archives and Records Management from the University of Michigan's School of Information. While at UMSI she served as the research assistant for Dr. Margaret Hedstrom on a Research Library Group project, resulting in a monograph, Digital Preservation Needs and Requirements in RLG Member Institutions, and also participated in a summer internship to establish an institutional archive at Diné College's Hatathli Museum at Tsaile, Arizona, within the Navajo Nation. Following graduation she worked as a conservation assistant at UM's Bentley Historical Library and with the James Craven Conservation Consortium. She belongs to the Society of American Archivists (SAA) and the Society of Southwest Archivists (SSA). Sheon is a Certified Archivist (CA) and a member of the Academy of Certified Archivists (ACA). 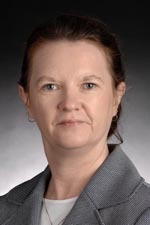 At Texas Tech she has served on the Commencement Committee and the Student Media Committee, and is Historian on the board of Phi Beta Kappa Lambda of Texas and on several committees within the Vietnam Archive. Sheon and her daughter have volunteered as Ranch Hosts with the National Ranching Heritage Center since 2008.